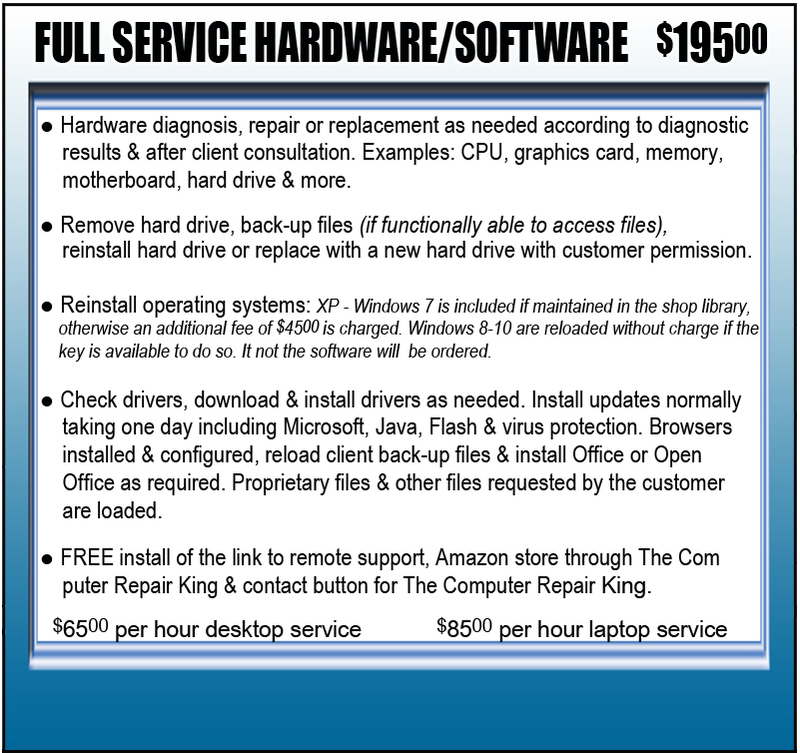 Computer Repair ADDED VALUE For You the Customer! FREE Virus security protection, (after much research, and in my opinion, better than McAfee, Norton, AVG), installed and maintained for you when needed. AVAST ANTIVIRUS will be installed for your protection. Disabling of virus protection and internet security or surfing of suspect websites will negate your guarantee. Flat Rate Operating System Cleaning: because not all cleanings need to wipe, reformat the hard drive, reload the Operating Systems, or sometimes replace the hard drive. In fact a good (but time consuming) Operating System cleaning can actually take care of the issue. 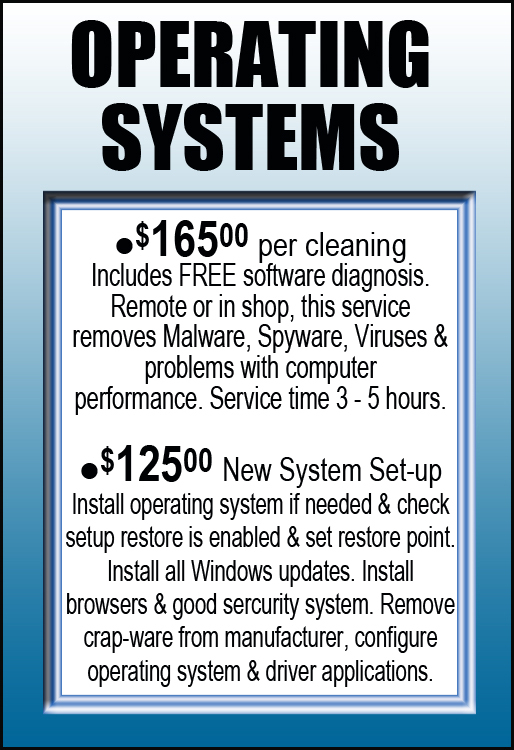 A guaranteed flat rate Operating System cleaning service leaves all your files and programs in tact and includes the following: Virus removal, Malware removal, Spyware removal, ads and pop up removals. Almost all computer users will notice a definite increase in the speed, when opening and running programs, the internet browsers and such. Microsoft Windows and Internet Explorer damage reset or repaired when physically able. 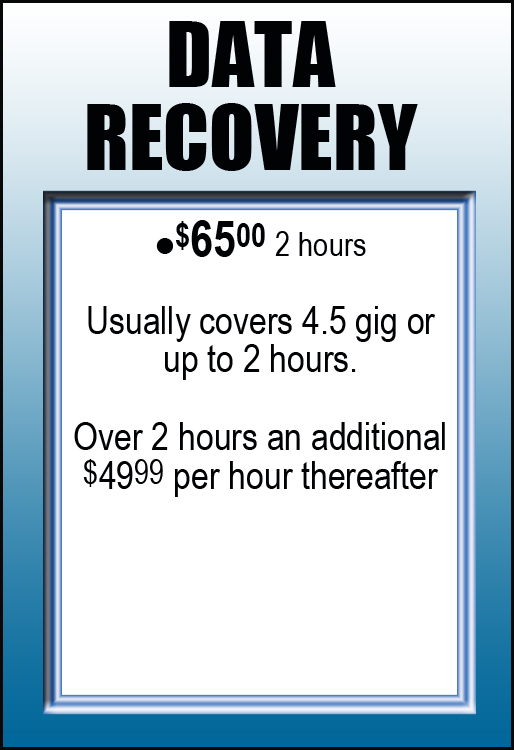 Note: Some damage cannot be repaired, thus the hard drive must be wiped, formatted and everything re loaded. Client will be notified, for authorization, if this is the case before this option is performed. You will be provided with programs to maintain the computer on a weekly basis. A new virus protection and an Icon link to Remote Support for contacting repair are installed. 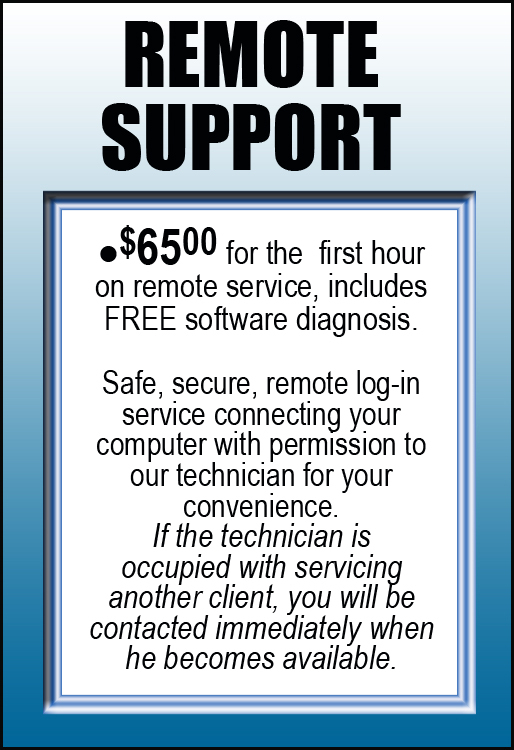 When you click the Remote Support Icon an alert and request for instant connection will be sent to a representative technician that can troubleshoot and repair most issues free of charge under an hour. If the technician is occupied with servicing another client, you will be contacted immediately when the technician is available. 1 hour or more are at regular rates of $65.00 hour. Flat Rate Operating System Cleaning will apply for operating system issues or if more than two hours are required. 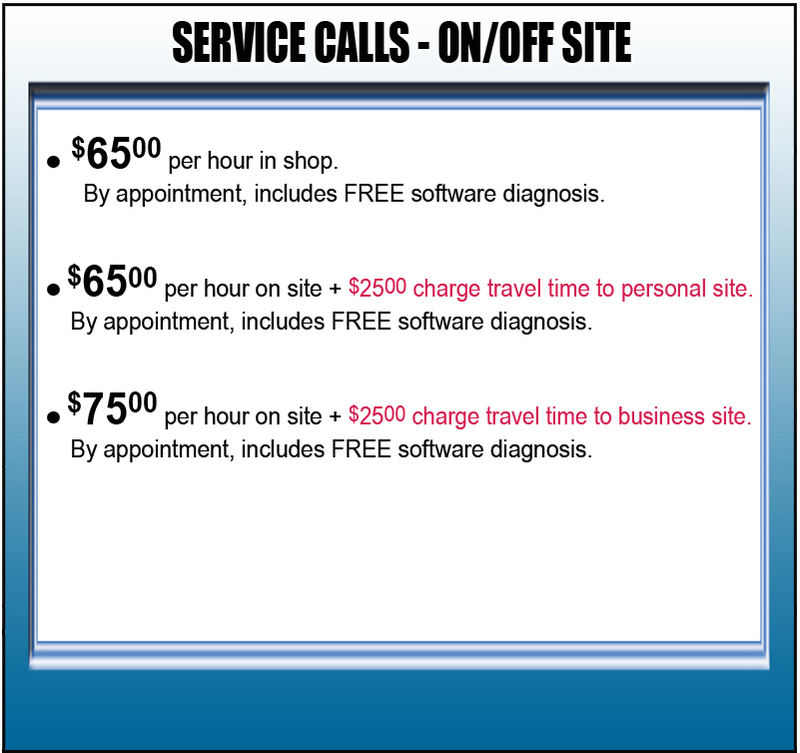 Non-contract IT and technician service on or off site. Contracted Off site Remote IT service. Keep overhead down without having to hire onsite technicians or IT staff, & provide them with a salary and/or benefits. We offer plans for Businesses with a contracted yearly off site IT and technician service. All work guaranteed. Guarantee includes: 15 day return policy on special order parts. 30 days on labor with 100% satisfaction guarantee. Disabling of virus protection and internet security or surfing of suspect websites will negate your guarantee.